I met Beth White, a woman who exemplifies the Warrior in every sense of the word. Beth is completely blind, not vision impaired or legally blind, but totally so. She is also a Remedial Massage Therapist, Mother of three, a wife and an athlete. Her sport of choice is the Paratriathlon and she competes for her country, Australia. Beth began to lose her vision at a young age to a rare degenerative disease which left her blind by the age of twenty-seven. Although akin to Retinitis Pigmentosis, it is a different condition and one that, at this time, has no cure. After Beth had her children, it was established that the disease was genetic and had started to affect all three of her children. Some would find this devastating, but Beth has chosen to do everything she can to show that it is not the disability, but the way that you handle it that matters most. Beth’s decision to compete seriously was born out of a desire to challenge herself and continue in the active lifestyle that she always loved. She also was determined to raise awareness of her condition and promote the search for a cure. Certainly choosing triathlon demonstrated that she was not looking for an easy sport in which to excel. On the face of it, the triathlon is a combination of three disciplines requiring totally different skills and muscles following each other to make one event. There is an open water swim, followed by a bicycle leg and finishing with a run.. The outcome depends on pacing and strategy. How does one do this without vision? This is where trust and faith comes in. The blind athlete competes with a guide, who acts as her eyes. The guide must be at the same competitive level so as not to hold the athlete back, but may not finish ahead. Some blind triathletes just find a guide for a specific race, while others, like Beth train with theirs. 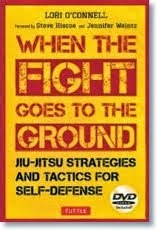 It is similar in many ways to the role of the uke in assisting the progression of a Martial Artist, the guide lending her eyes to allow the athlete to develop and improve. 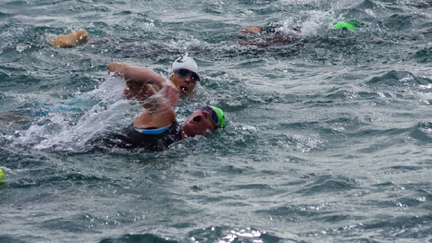 During the open water swim, the two athletes are loosely tethered at the waist and swim side by side. This is a challenging leg because verbal communication is impossible, and conditions can change from mill pond smooth to currents, wind and wave action. After leaving the water, they enter the transition area where they need to remove the swim gear, donning their bike shoes and helmets. If you have ever tried to get dressed in total darkness, you can appreciate the difficulties. 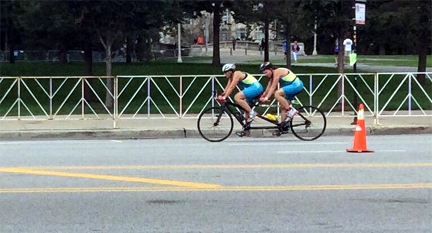 The bicycle leg takes place on a tandem, the eyes in front, the athlete behind. Gearing and steering are up to the guide while the athlete sets the cadence and the power. Again, imagine traveling at an average of forty kilometers an hour in some one else’s hands blindfolded! Verbal communication is now possible and the guide is able to call the turns and terrain. After finishing the bicycle leg there is another transition to running gear and the final leg begins. On this leg the athletes may choose to be loosely tethered or run shoulder to shoulder with a light touch. The eyes are alert to curbs, cracks in the pavement or any other obstacles. The guide also sees the finish line and encourages the athlete over it. Beth recently competed at the World Triathlon Grand Final in Chicago, where she won the silver medal in her class. For Beth and her guide Melissa, the partnership is deeper than the shared competition. They are friends, and inspire each other. Their children do sports together and the families are close. The rewards from guiding go far beyond a medal. Beth meets any criteria for a Warrior. She has set a challenge for herself and hopes through her competition to help the most important people in her life, her children. Going back to Andrea Harkins’ post gives one definition of a Warrior, that defines Beth in my eyes, “I am ready and willing to defend that which I love and nothing will ever change that. It’s not a choice or a decision, it just is”. She is raising awareness for the condition that is slowly robbing her children of their sight, and remains hopeful that a cure can be found through continued medical research. Beth has accepted her disability, and sees it as making her the Warrior she is today. She has not accepted that it should limit her dreams and aspirations for herself and her children. Thanks to Beth White, her family and Melissa Le Quesne for including us on this journey. 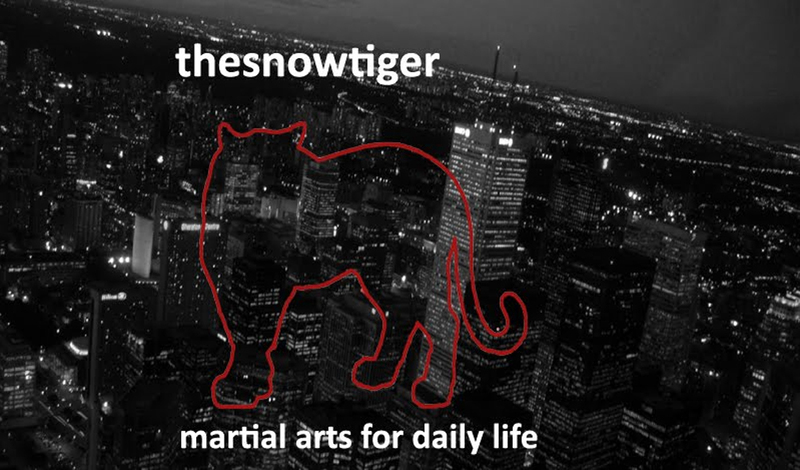 Sifu Lesley Simla is an instructor in T'ai Chi and Qi Gong with the Brighton T'ai Chi Club in Brighton Ontario, She is also a student training with The Snow Tigers Martial Arts Club in Trenton, Ontario. 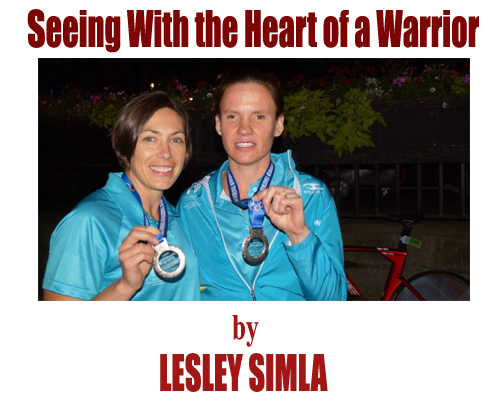 Thank you, Lesley, for this powerful and inspiring article! Martial artists continue to make a positive difference in the world. Let’s get behind the Oakes Trust and support its work! What an inspirational story Lesley, and what an inspirational team Beth and Melissa make. Thank you so much for this inspiring article. I am so honored that you read what I wrote and wrote such a beautiful story surrounding it. Thanks for your encouragement. I am taking stem cells retinitis pigmentosa treatment for getting me improved. Pray for me!